Proper tea brewing is not as easy as it generally seems. While brewing, we need to pay attention to, among others, the steep time, the water temperature, the type of tea, the water hardness, or the type of kettle in which it is served. All these elements must be adjusted in an appropriate manner in order to be able to enjoy perfectly prepared infusion. Properly brewed leaves should create a cup with rich and fascinating aroma, as well as strong, but not bitter, flavour, while the tea should have a beautiful and deep colour. The art of tea brewing, just like tea itself, evolved over the centuries along with the changing world. One of the most important things, which is often omitted, is water that we use to brew tea. Water should be fresh and boiled only once, as it contains oxygen that allows tea to fully brew. The hardness of water is also an important issue – the softer water is, the smaller content of calcium and magnesium that affect the taste and aroma of infusion. While preparing tea in hard water, use more leaves and infuse a bit longer than usual. It is also important not to over-boil water, but to lead it to 96°C. It is a moment just before boiling, when air bubbles float up and water becomes white and cloudy. A method of preparing perfect tea depends mainly on its type and form. The better the quality of tea is, the less time we need if we do not want it to become too strong and bitter. Also, the finer the grind is, the shorter the brewing time. 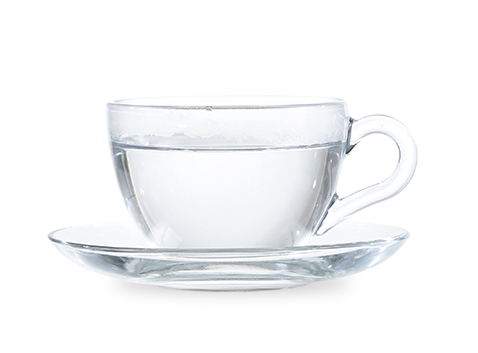 Different types of tea also require different water temperatures in which tea is steeped. If you do not have a thermometer to check water temperature, it is good to know that after 3-4 minutes the temperature is 95°C, and after 10-15 minutes the temperature is 75-85 °C, which is suitable for brewing green and white tea. Remember, however, that all depends on the environment in which you prepare your hot drink and on the amount o boiled water. Classification of leaves stems solely from the last stage of tea production, namely, the process of sorting. Traditionally, there are four basic groups: whole leaves, broken leaves, fannings, and dust. These categories indicate different sizes of leaves and related quality. Fannings and dust are mainly used for mass production of commercial teas, especially tea bags. - FTGFOP1 ( Finest Tippy Golden Flowery Orange Pekoe First Grade Leaves). They come mainly from Darjeeling, but also from certain parts of Assam. High quality tea from the first leaves of shoots and buds. - SFTGFOP1 (Special Finest Tippy Golden Flowery Orange Pekoe F irst Grade Leaves). Highest quality tea from the first leaves of shoots and buds. 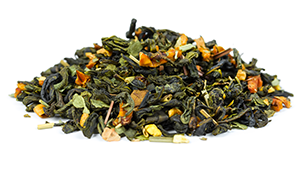 - TGFOP1/TGFO P (Tippy Golden Flowery Orange Pekoe First Grade Leaves / Tippy Golden Flowery Orange Pekoe). 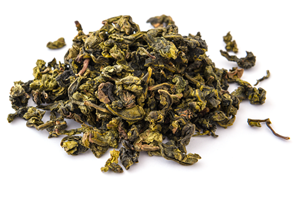 The main class of tea produced in Darjeeling and Assam, contains a lot of golden buds. - GFOP1 (Golden Flowery Orange Pekoe First Grade Leaves). Currently less popular in Assam and Darjeeling. 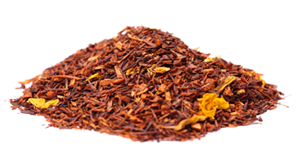 - FOP/FOP1 (Flowery Orange Pekoe/Flowery Orange Pekoe First Grade Leaves). 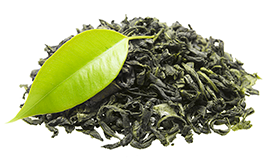 Tea containing long leaves and a small amount of buds. Second grade tea in Assam, Dooars, Bangladesh; tea of the highest quality in China. - OP sup (Orange Pekoe Superior). 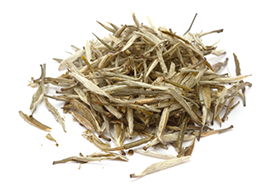 Tea containing long and pointed leaves, no buds. Exclusively from Indonesia. - OP (Orange Pekoe). The main class of tea produced in Ceylon and Java. Contains long and pointed leaves, no buds. - BOP1 (Broken Orange Pekoe First Grade Leaves). The speciality of "lower" regions of Ceylon. 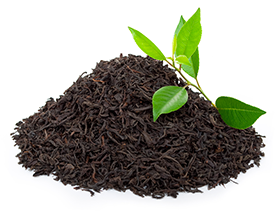 Black tea with thick leaves, consisting of about 40% OP and 30% Pekoe/BOP. - Some OP2 (Orange Pekoe Second Grade Leaves). 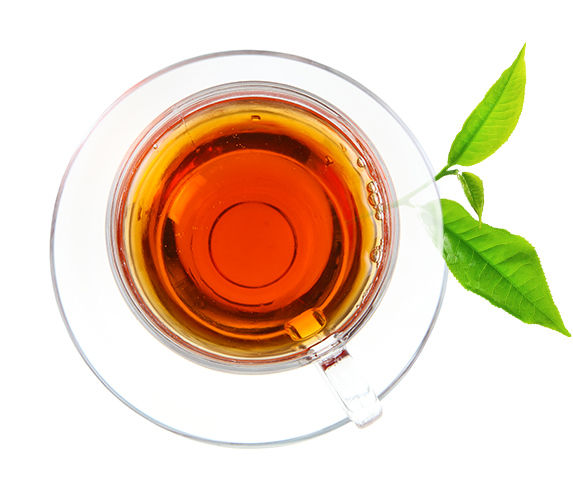 Leaf tea with additional ingredients, produced only in Ceylon and southern India. - P/FP (Pekoe/Flowery Pekoe). Mainly from Ceylon and southern India, but also from some parts of Kenya. Usually contains thick, fleshy, broken leaves. 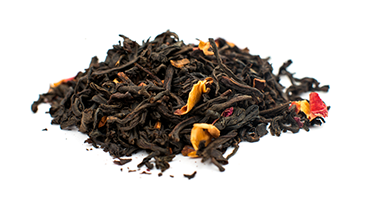 - BOP (Broken Orange Pekoe). Thick leaves, Indonesian name of Pekoe tea. - BPS (Broken Pekoe Souchong). The name of Pekoe tea, used in Assam and Darjeeling. - TGFBOP1 (Tippy Golden Flowery Broken Orange Pekoe 1). 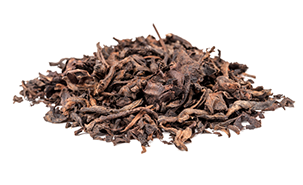 High quality tea with broken leaves, produced in Darjeeling and some parts of Assam. A lot of buds, uniform leaves. - GFBOP1 (Golden Flowery Broken Orange Pekoe 1). Produced mainly in Assam as the highest quality tea with broken leaves; the only Kenyan tea with broken leaves that contains buds. - GBOP (Broken Orange Pekoe). Lower quality tea, next in the classification. Contains non-uniform leaves and less buds. - FBOP (Flowery Broken Orange Pekoe). In Assam, Ceylon, Indonesia, China, and Bangladesh, tea with thicker leaves and a small amount of buds. 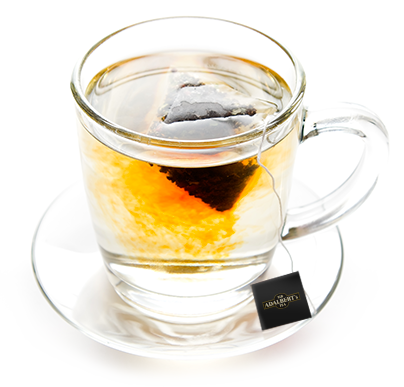 In South America, black tea with thick and broken leaves. In southern India, Pekoe is often called FBOP. - BOP (Broken Orange Pekoe). The main class of tea with broken leaves in Ceylon, Java, southern India, China. - BP (Broken Pekoe). Tea from Indonesia, Ceylon, and southern India. - FBOPF (Finest Broken Orange Pekoe Flowery). Mainly from "lower" regions of Ceylon. Leaf BOP1 with buds. Also called "Spider Leaf". - BT (Broken Tea). From Sumatra, Ceylon, and some parts of southern India. Usually black, with open, fleshy, and very thick leaves. - BOPF ( Broken Orange Pekoe Fannings). The main class of tea in Ceylon, Indonesia, southern India, Kenya, Mozambique, Bangladesh, and China. 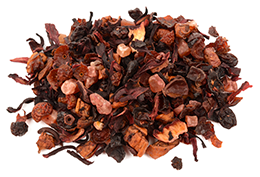 Black tea with certain additional ingredients, uniform size, without buds. Known as "BOP fine" or "small-leaf BOP" in Indonesia. - TGFOF (Tippy Golden Flowery Orange Fannings). - GFOF (Golden Flowery Orange Fannings). High quality tea used in Darjeeling for the production of tea bags. - FOF (Flowery Orange Fannings). Popular in Assam, Dooars, and Bangladesh. The size of some leaves similar to the lower classes of teas with broken leaves. - OF (Orange Fannings). From southern India and some regions of Africa and South America. - D1 (Dust 1). From Ceylon, Indonesia, China, Africa, South America, and southern India. - PD/PD1 (Pekoe Dust/Pekoe Dust 1). Produced mainly in India.